I’ll be a guest lecturer at the Ukrainian Evangelical Theological Seminary, teaching in their Music Ministry and Theology Department. The courses I’m teaching will be Essential Biblical Foundations of Christian Worship during the day and Worship Music Composition and Songwriting Workshop in the evenings. Besides teaching, I’ll be there to coach, mentor, advise and encourage students and staff. I’ll be partnering with my good friend Fred Heumann (his non-profit is Music Works International), a frequent instructor and conference speaker at UETS and fellow Robert E Webber Institute for Worship Studies alum. We will lead a retreat for the staff and leaders of the school the weekend after we arrive. Then we’ll each teach about 15 different sessions to two different sections of students through out the week. After I depart at the end of the course, Fred will stay and lead a team from the school to a conference in England. Apparently my buddy Fred is a big deal in Ukraine, they’re advertising our classes and opening them to the general public. The following is summary of the situation and opportunity (written by Fred, courtesy of FH website). Walk the streets of Kiev and you will see many amazing churches with incredible artwork, iconography, and music–all creativity dedicated to the worship of Father, Son, and Holy Spirit. In 1988, even under the then-Soviet rule, the city and nation celebrated 1000 years of Christianity. 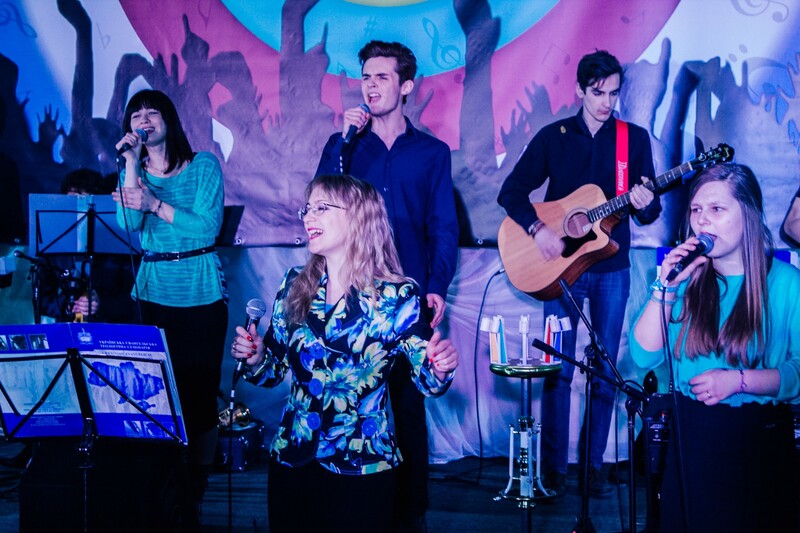 In a free but beleaguered Ukraine today, those ancient churches have been joined by thousands of new ones across the nation, full of new, energetic Christian believers, passionate about using current music to express their hearts in the worship of God. Since independence in 1992, Ukrainian Christians have sought to bring and be the Gospel in ways relevant to current culture both in their nation and in other former Soviet republics. Russian-backed separatists are still attacking the country’s southeast. Corruption is still being weeded out of governmental procedures and positions. Terrible economic conditions have seen purchasing power drop by two-thirds. Ukrainians are under attack as never before. These churches need leaders who are grounded in the values and principles that undergirded the ancient church and are also proficient in using the tools that will propel them into the future. When it comes to worship, that means understanding how the practices of the early church have much to teach us about how we approach worship today. It also means gaining skill in contemporary worship music and how culture, character and calling come into play. 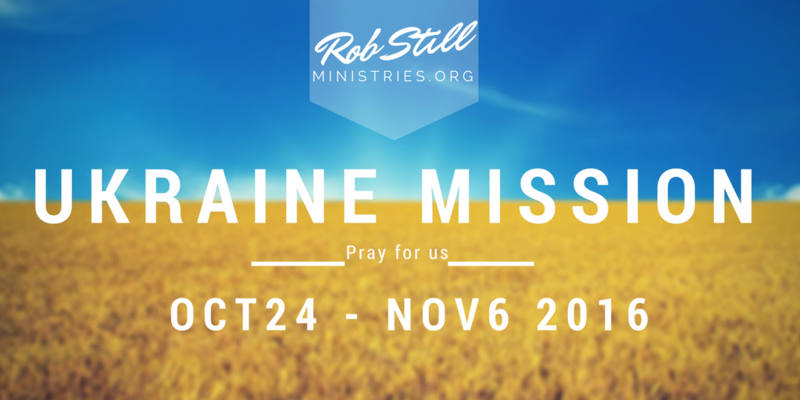 After returning, please pray for us for 5 to 10 days, the enemy often will attack after a victory! Rob Still Ministries will be donating books for their library, a guitar and other resources. If you would be interested in helping fund the mission (my expenses will be about $2500.00), you can make a tax deductible donation here.